Believe it or not, the 1980s are back in style. The Spring ’18 runways were filled with neon colors, pouf skirts, power suits and mega shoulder pads. Logomania has taken hold once again. Scrunchies can be found in the up-dos of the ultra-trendy set. None of this, however, had given me a sense of nostalgia for the go-go decade. Then I was scrolling through The New York Times list of 100 Best Movies on Amazon Prime Video and there was Desperately Seeking Susan. Made in 1985, the year I arrived in the Big Apple, it instantly reminded me of so much that was fun and fashionable in downtown New York. It is also a five-star jewelry movie. 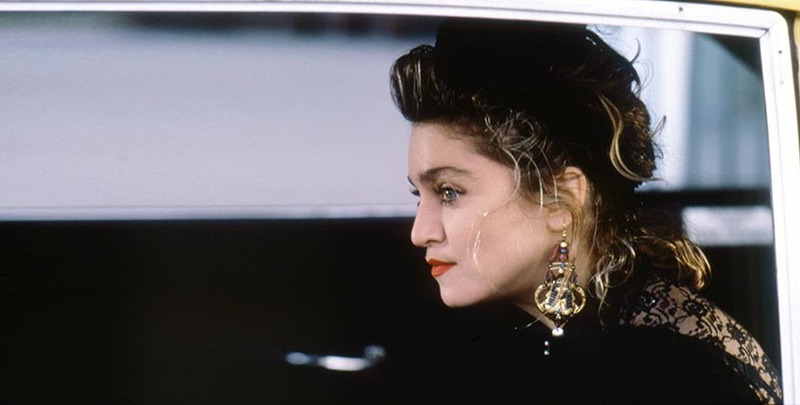 When Desperately Seeking Susan was made Madonna—who plays the title role—was at the dawn of her career. 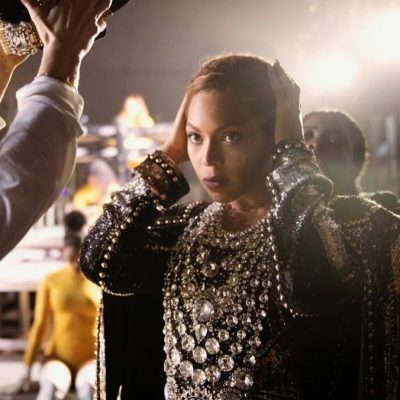 One of the film’s reviewers described the 27-year old singer as “one of the hottest personalities in music videos.” At that stage MTV was just a 4-year old channel and had transformed the music industry. 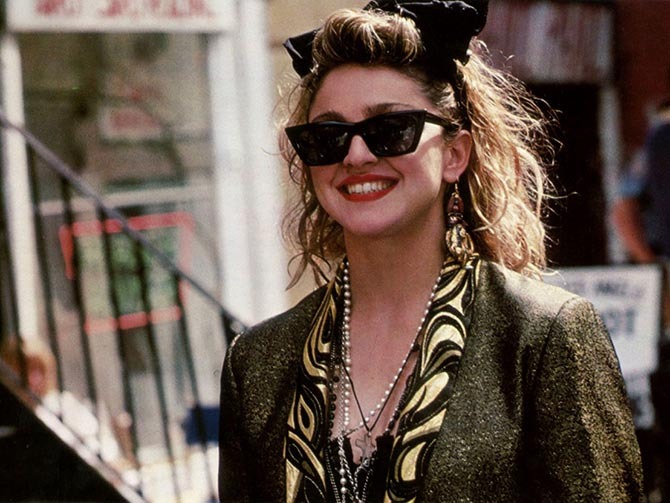 Anyway, Madonna aka Susan is a charming grifter who kicks off the action in the first scene of the movie when she takes a pair of Egyptian style earrings from the guy she had been enjoying a few days with in Atlantic City. The seemingly petty crime becomes a big deal when someone, not the police, comes looking for the jewels that once belonged to Nefertiti and were originally stolen from a touring exhibit of the Cairo Museum’s ancient artifacts. All of this is unbeknownst to Madonna, I mean Susan, who heads back to Manhattan and changes at the Port Authority bus station from her pink sheer top to her black sheer top for her foray down to the East Village. During the course of the switcheroo all of Madonna’s ‘80s style is on display. The show-your-lingerie trend she wears throughout the film became huge in real life. She wears a scrunchie of sorts. It’s kind of a scrunchie headband. The black rubber bracelets piled up her arm were worn by men and women alike in the city at the time. 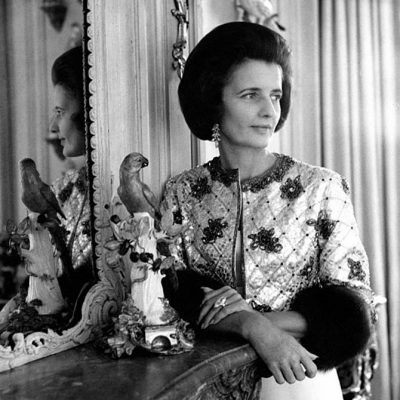 The plastic jewels popularity is impossible to overstate. Madonna also has on layers of rosary necklaces. For her final outfit flourish, she puts on not two but one of the Nefertiti earrings. 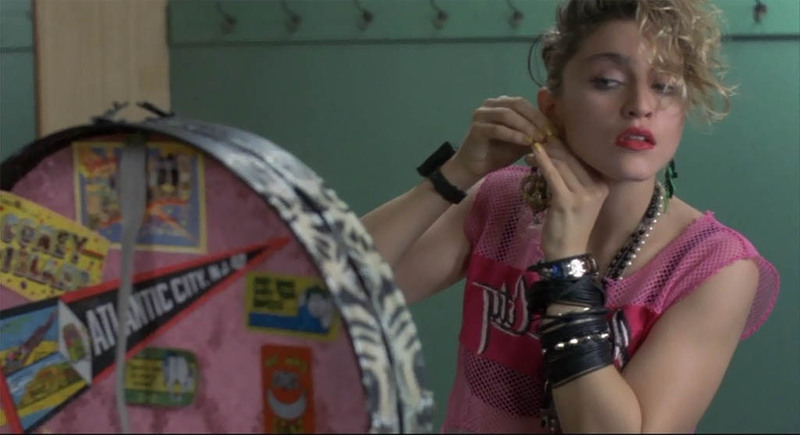 Madonna’s classic ‘80s asymmetrical earring choice makes it possible for Rosanna Arquette who literally plays a desperate housewife from Fort Lee, New Jersey to find the piece of luggage Madonna has left in a locker at Port Authority. Despite the fact that her style is straight out of the suburbs, she knows it’s cool to wear just one earring and puts it on. From that point the farce ensues. The film is fabulous fun with an early Madonna soundtrack. While the style of the clothes are textbook ’80s, it has a classic screwball comedy spirit. I think the director Susan Seidelman was underlining that point by having one of the leading men, Dez played by Aidan Quinn, work as a projectionist at a movie theatre that ran old films. It’s the type of theatre that could be found all over Manhattan back in the day. Another delightful aspect of Desperately Seeking Susan is the cast of characters that includes Laurie Metcalf and John Turturro. And, of course, there is the classic movie way jewelry drives the plot and is key for the costumes. If you are struggling as I was to understand why the ‘80s are making a comeback, the movie is guaranteed to remind you, or introduce you, to some of the era’s charms.